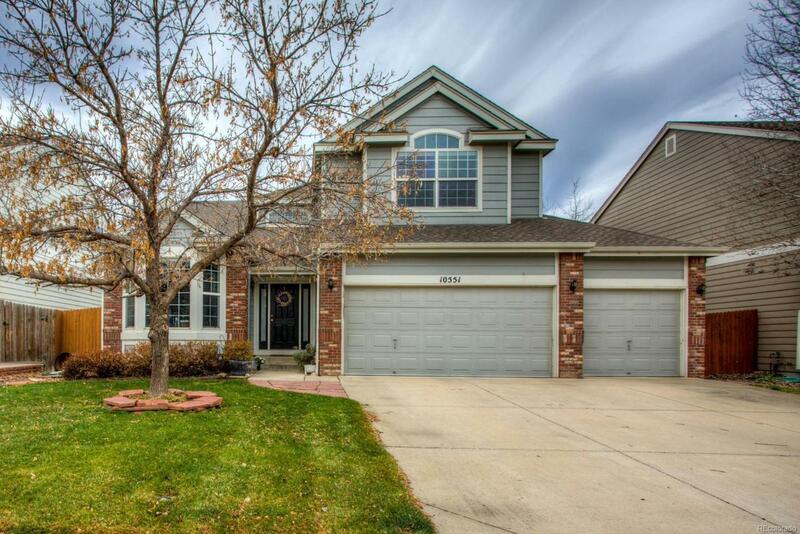 Stunning two story home in Firestone loaded with extras. The entryway welcomes you with refinished hardwood floors that continue up the stairs. On the main level, there is a study with french doors, formal living, and dining rooms. Oversized kitchen has cherry cabinets, an island, double oven, command center and plenty of room for a table and chairs. The kitchen opens to a large family room with fireplace and built-in storage. Main floor laundry has plenty of storage cabinets and a utility sink. Upstairs you can find four spacious bedrooms and three full bathrooms. The Master bedroom is oversized and has a full five-piece bathroom with his and her sinks and vanity area. AMAZING mountain views can be enjoyed from many rooms in the home and from the HOT TUB! Don't miss this beautiful home! Association Name Primary Booth Farms Community Association Inc.